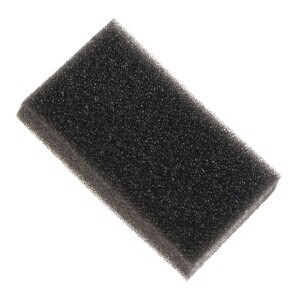 The Foam Diffuser fits in the elbow, beneath the filter cap, when in use. Each pack includes 10 Foam Diffusers. Diffusers should be changed regularly when soiled. At first I thought these were inferior to the one that came with the mask diffuser elbow. When I used one for the first time, it was quite noisy. I ended up putting two in to make it quieter. But when I looked at them again the next time, I saw that the two sides of it were slightly different. One side is harder and the other side is fluffier. I tried it both way and found out that if the hard side faces out it's pretty quiet. If the hard side faces in, it's quite noisy when I breath. Hard to believe that little difference makes such a big change in sound. I downgraded it one star because I think it should have been printed on the bag or posted in the instructions. 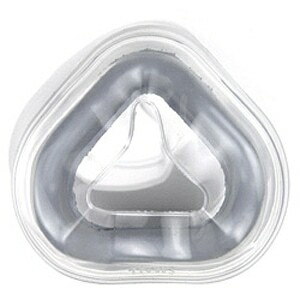 Other than that, they are "very good"
Hard to find item for CPAP. 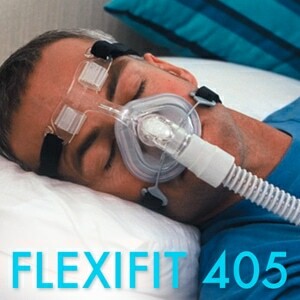 I have only lately started using a mouth breathing CPAP mask (Oracle 452). Because of the location of the diffuser it needs changing more frequently. I was at a loss to find this small item until I checked the Direct Home Medical site. They responded promptly and now I have a reliable source. The item was received via USPS less than a week after I placed the order. It was an exact replacement for the ones on my CPAP mask. Correct material, but wrong cut. I can use them, I will just need to field modify for fit. I was reluctent to order before, because these filters looked nothing like those I have been using. The change in picture made it easier to decide. I am very pleased with the speed of delivery and the quality of purchase.